HAMILTON, ONTARIO, September 25, 2017 – Fusion Pharmaceuticals, a clinical-stage biopharmaceutical company developing targeted alpha-particle radiotherapeutics for treating cancer, today announced it has completed a second closing of its Series A financing, securing an additional $21 million USD in capital and bringing the total capital raised to $46 million USD. New investors in the second closing include Adams Street Partners, Seroba Life Sciences, and Varian Medical Systems Inc., who join the existing group of international investors, FACIT, Genesys Capital, HealthCap, Johnson & Johnson Innovation – JJDC, Inc., and TPG Biotech. Fusion Pharmaceuticals also announced that Terry Gould of Adams Street Partners and Alan O’Connell of Seroba Life Sciences have joined the company’s board of directors. Targeted alpha-particle emitting radiotherapeutics combine the precision of molecular targeting agents, such as antibodies, with the potency of alpha-particle emitting radioisotopes to specifically attack and eradicate cancer cells. Fusion uses its radiochemistry expertise to convert established and novel targeting molecules into potent alpha therapies. FPX-01 is an antibody-targeted radiotherapy, which seeks out a specific biomarker of resistance that is present on nearly all types of treatment refractory cancers. The technology is designed to selectively deliver actinium-225 to tumor cells so that in conjunction with internalization, the alpha particles emitted will eradicate diseased tissue. Fusion Pharmaceuticals is a spinout from the Centre for Probe Development and Commercialization (CPDC), which is a Centre of Excellence for Commercialization and Research (CECR) located at McMaster University in Hamilton, Ontario, Canada. 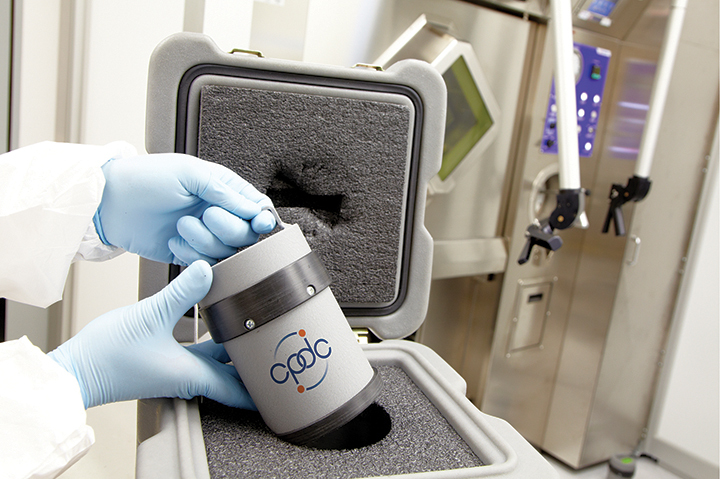 The CPDC, which was created with the support of multiple stakeholders, including the Networks of Centres of Excellence (NCE) and the Ontario Institute for Cancer Research (OICR), has rapidly become a world leader in the development, translation and manufacturing of radiopharmaceuticals. Fusion Pharmaceuticals is also developing centyrin-based alpha therapies against a series of cancer markers. Centyrins are small proteins that are characterized by high selectivity and specificity, combined with tunable pharmaceutical properties and efficient manufacturing. Fusion obtained the candidates through two licensing agreements with Janssen Biotech, Inc. in transactions facilitated by Johnson & Johnson Innovation. Fusion Pharmaceuticals is a clinical-stage biopharmaceutical company located in Hamilton, Ontario, Canada focused on becoming the leader in the targeted alpha therapy field. Fusion will exploit its unique expertise in linking medical isotopes to targeting molecules to create highly effective therapeutics. In addition to its lead program, FPX-01 with a clinical trial planned for early 2018, Fusion is expanding its pipeline of products through a proprietary protein discovery platform, in-licensing targeting molecules and forming new strategic partnerships. For more information, please visit www.fusionpharma.com or contact info@fusionpharma.com.